Every cropping season, challenges await. Drought, flooding, and soil salinity are among the many problems that can overwhelm resource-poor farmers in Asia's rainfed rice environments. Unpredictable and stressful conditions make farmers' decision making an agonizing experience, affecting their food security and overall livelihood. The diverse nature and wide geographical spread of the rainfed environments make it essential that our research is carried out in partnership with national agricultural research and extension systems (NARES), drawing on local scientific expertise and farmers' indigenous knowledge. 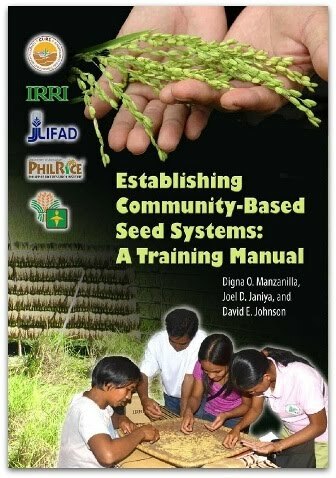 We provide a venue for partnership between NARES and IRRI researchers and farmers and extension workers to tackle key problems in rice farming systems where low and unstable yields are commonplace and where extensive poverty and food insecurity prevail. We are a regional platform for partnerships among 26 institutions led by NARES from 10 countries in South and Southeast Asia: Bangladesh, Cambodia, India, Indonesia, Lao PDR, Myanmar, Nepal, Philippines, Thailand, and Vietnam. 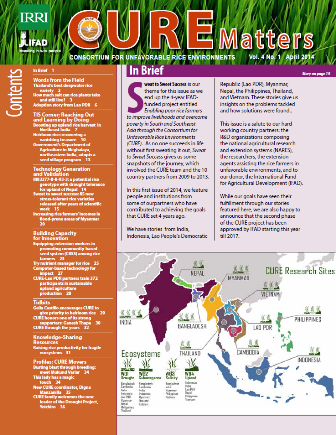 In collaboration with IRRI scientists and NARES partners, CURE activities aim to benefit the 100 million farm households in Asia that are dependent on rice.